Perfect for any high volume commercial operation, this Noble Warewashing 66 low temperature conveyor dish machine works to clean hundreds of dishes more efficiently than ever. 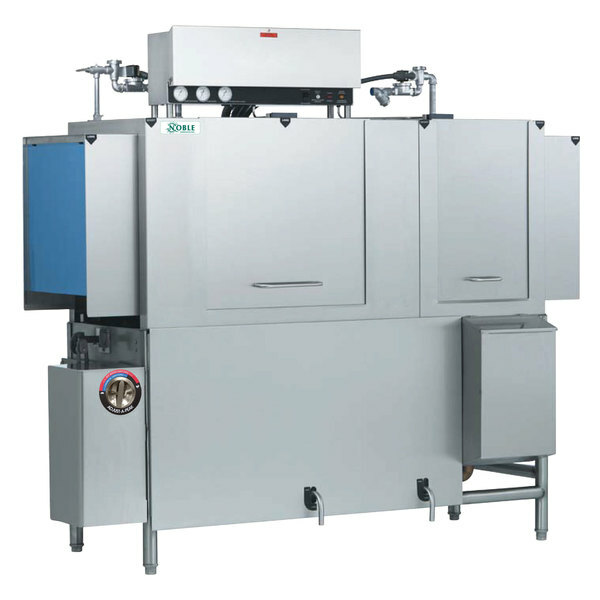 Using just 0.78 gallons of water per rack, the unit can clean up to 209 racks per hour. A 25'' standard clearance is designed to accommodate larger wares, such as sheet pans, mixing bowls, and more.